best results will count in the team championship for teams fielding more than two entries. 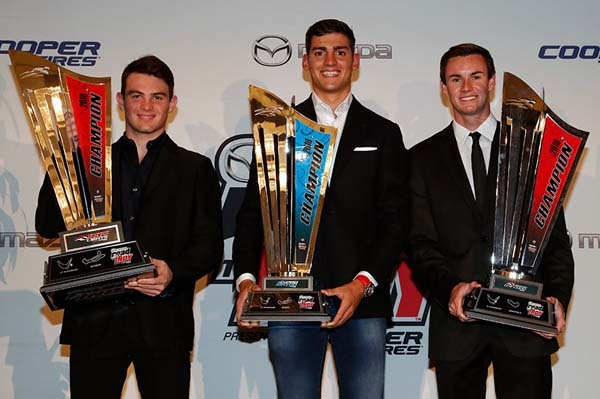 Kyle Kirkwood's scholarship is for his advance to Pro Mazda, the next stage of the MRTI ladder, in 2019. Rinus VeeKay scholarship is for a move up to Indy Lights next season. Pato O'Ward's scholarship is for three races during the 2019 IndyCar season, including the 103rd Indianapolis 500.